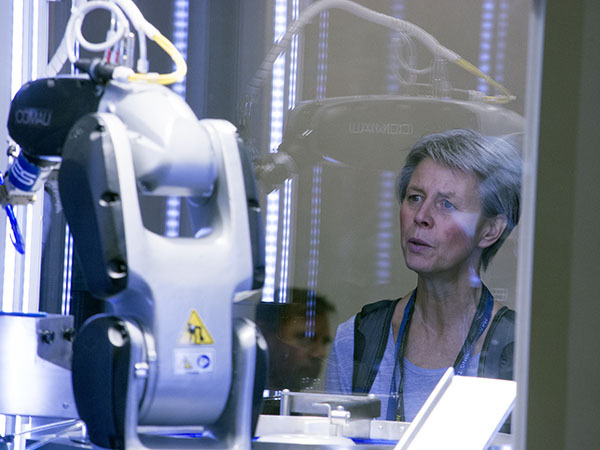 The event put on by the Global Manufacturing Innovation (GMI) team to display the latest in cutting edge technologies and exciting upcoming projects saw over 600 employees from across Manufacturing and the wider business through the door on the day. Their aim, to be amongst the first to see the projects that have the potential to dramatically transform the way we produce our vehicles and how we interact with our environments over the coming few years. From soft exoskeletons that will help to reduce fatigue for Production Operatives through to the flying stock checking drones, the event in total showcased more than 100 exciting projects that are either currently live in the pipeline or are eagerly awaiting the go ahead to move into development. Throughout the day the main exhibition area was bustling with people vying to talk to the project leaders who were representing a mix of departments including AME, PTME, Production, MP&L & T&PPG. 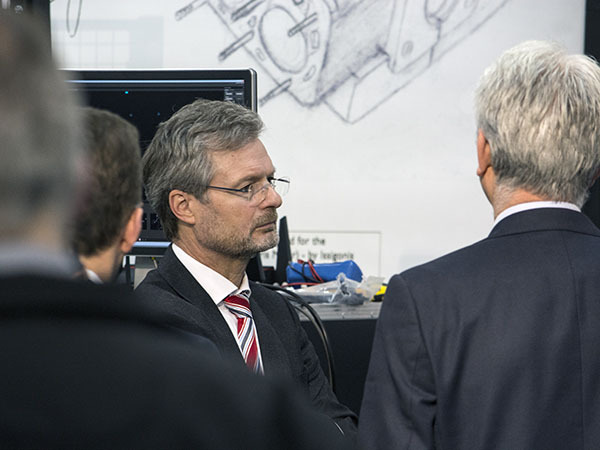 All were keen to find out how their area of manufacturing could benefit from the future technology on offer. Getting further into the display areas the sheer range of ideas that spanned numerous applications soon became even more apparent. Each project had been placed into one of the GMI’s eight strategic themes, created with the express purpose of helping multiple functions collaborate within the same technology areas. Meaning that great ideas implemented in one place can be quickly and easily shared with another. 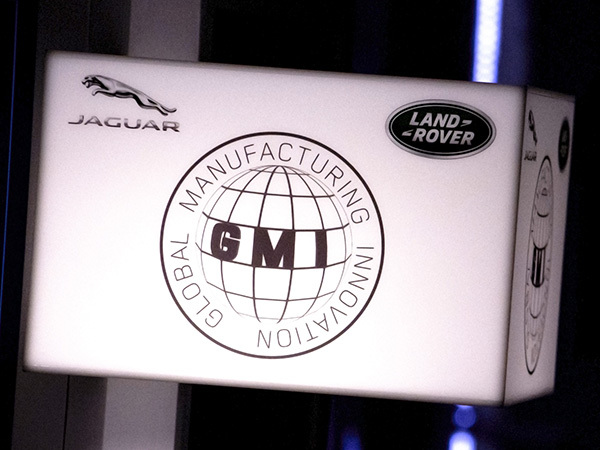 To compliment the Jaguar Land Rover projects there were 37 external partners also exhibiting at the event, some with technology so new they were hidden inside closed off booths to ensure that only Jaguar Land Rover attendees received exclusive access to them. 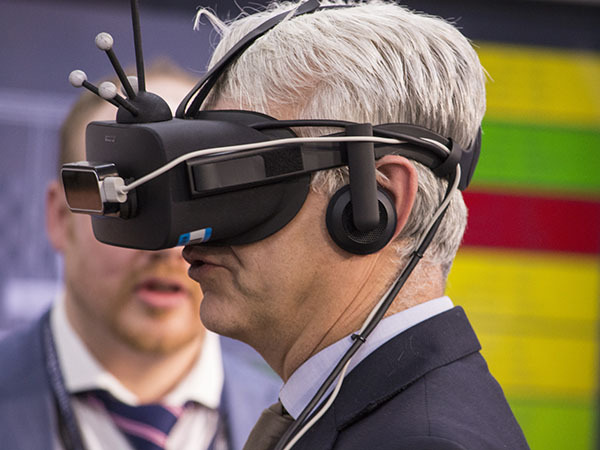 On top of these exclusives, the event also boasted numerous interactive displays that allowed you the opportunity to experience some of the technology first hand throughout the day, the virtual reality applications proving amongst the most popular of these. As part of the afternoon session the Senior Manufacturing Leadership team took their turn to cast their eyes over the proposals before Manufacturing Executive Director, Wolfgang Stadler gave a closing talk, highlighting the opportunities and challenges we face in the digital age of Manufacturing and the importance of considering how physical processes and the human worker fits seamlessly into the industry as it becomes increasingly digitalised. 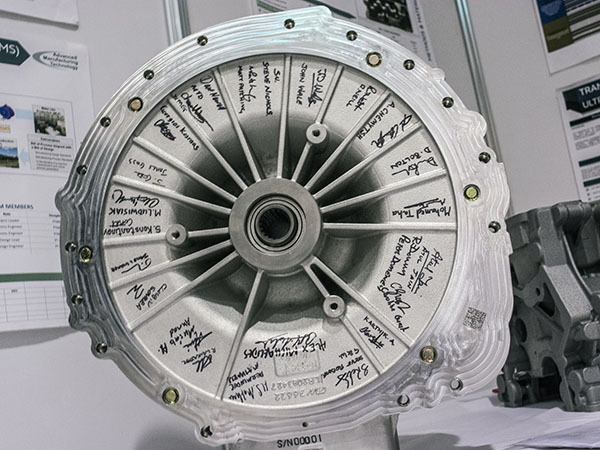 After spending the day at the show one thing becomes increasingly clear – no matter which part of Manufacturing you work in there are some very exciting technology led developments to look forward to in the near future. RELEVANCE - Do you find the information on the TeamTalk website to be relevant to you?